The "Institut de Génomique Fonctionnelle" (IGF) /Institute for Functional Genomics is a major centre for basic research in Montpellier. IGF was evaluated as an "Institute that provides a very strong environment for research at the highest level". 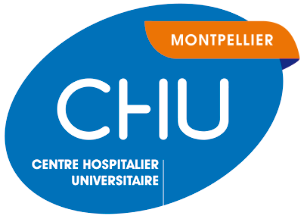 The « Institut de Recherche en Cancérologie de Montpellier » (Montpellier Cancer Research Institute) is an Institut gathering research teams devoted to cancer research. The federative research project is « Molecular Targets and Cancer Therapeutics. Discovery,Biology and Clinical Applications ». The Institute of Human Genetics is a major CNRS unit dedicated to excellence in fundamental research and study of pathologies. The principal research interests of the IGH are genome dynamics, developmental genetics, epigenetics, and molecular and cellular pathology. The Institute of Molecular Genetics of Montpellier (IGMM) is a multidisciplinary institute for advanced studies in biology. It has an internationally-acknowledged reputation in the fields of genetic and epigenetic regulations, RNA biology as well as cell cycle, death and metabolism. Created in 1988, Epidaure is a department of ICM totally dedicated to cancer prevention, through 3 types of activities: i) information and communication for knowledge diffusion, ii) research in cancer primary prevention, pedagogy and behavioral sciences, iii) training for know-how improvement. Epidaure performs its activities within an 800m²-building located on the ICM campus, next to the hospital and the research laboratories.